Vatican spokesman Alessandro Gisotti reiterated Tuesday that the Vatican only received the first accusations of alleged sexual abuse by Archbishop Gustavo Zanchetta a few months ago. The Vatican is insisting that there were no accusations of sexual abuse against an Argentine bishop close to Pope Francis when he resigned suddenly in 2017 and was promoted to a job at the Vatican. 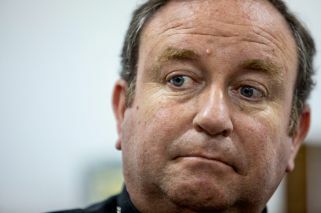 The former deputy to archbishop Gustavo Zanchetta, the ReverendJuan Jose Manzano, told The Associated Press last week that he had sent the Vatican information in 2015 and 2017 of alleged inappropriate sexual behaviour by Zanchetta that included taking naked selfies and reports that he engaged in harassment and misconduct with adult seminarians. Manzano told AP those reports didn't constitute formal canonical accusations of sexual abuse, but were merely reports of behavior that he, another former vicar general and the rector of the seminary in Orán, northern Argentina, considered important to bring to the Vatican's attention. In a statement, Gisotti said: "In reference to the articles published recently by several news sources, as well as to some misleading reconstructions, I resolutely repeat what was stated this past 4 January. In addition, I emphasize that the case is being studied and when this process is over, information will be forthcoming regarding the results." In his January 4 statement, Gisotti confirmed that Zanchetta was under preliminary investigation for alleged sexual abuse, but said that the accusations were first made in the autumn of 2018. He said the reasons for Zanchetta's resignation were due to his difficult, tense relations with the Orán clergy and inability to govern them. He said the current bishop of Orán was gathering testimony that hadn't yet arrived at the Vatican's bishops' office, and that Zanchetta would refrain from working during the preliminary investigation. Manzano's comments to AP, in an on-camera interview and a subsequent email, undermined the Vatican's assertion that Zanchetta had only faced accusations of authoritarianism and difficulty governing his clergy at the time of his July 2017 resignation, since Manzano said the reports concerned allegations of inappropriate sexual behavior and alleged misconduct with seminarians. After accepting Zanchetta's resignation August 1, 2017, Francis in December that year named him to a newly created position of "assessor" in the Vatican's office of financial management, APSA.